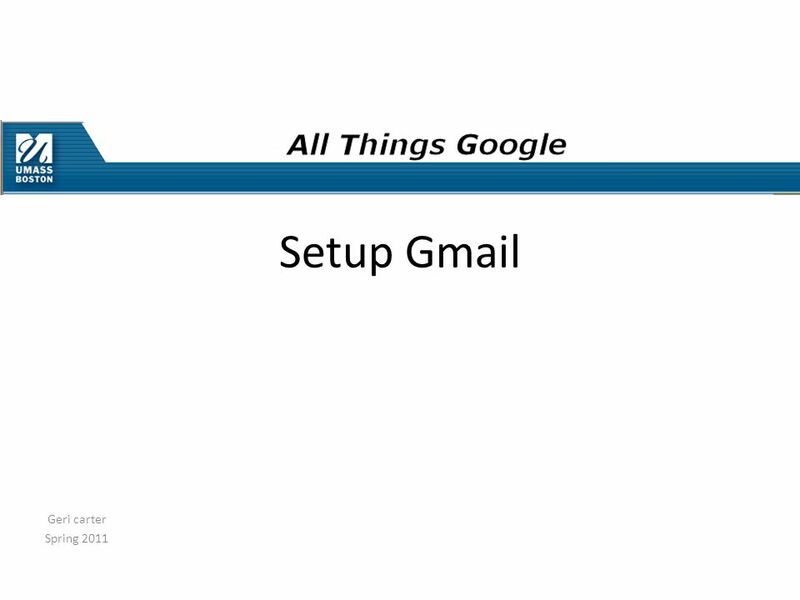 Geri carter Spring 2011 Setup Gmail. 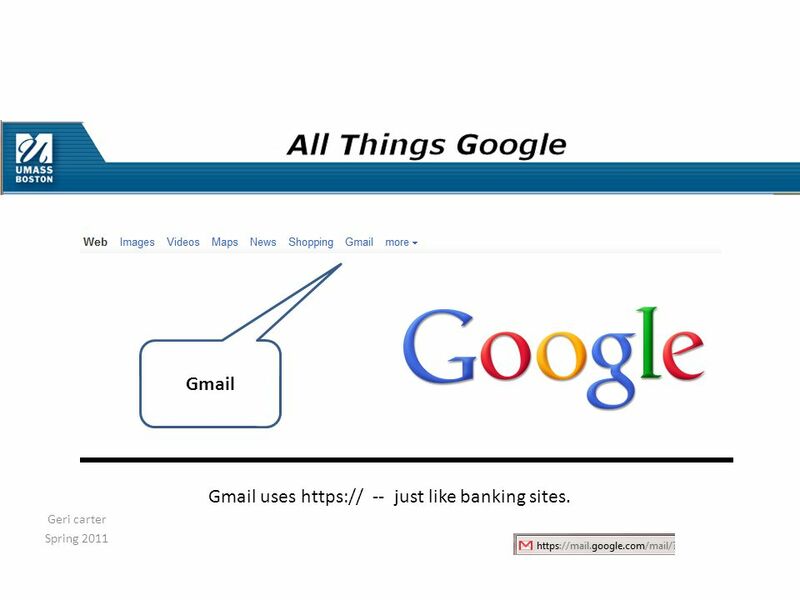 Geri carter Spring 2011 Gmail Gmail uses https:// -- just like banking sites. 2 Geri carter Spring 2011 Gmail Gmail uses https:// -- just like banking sites. 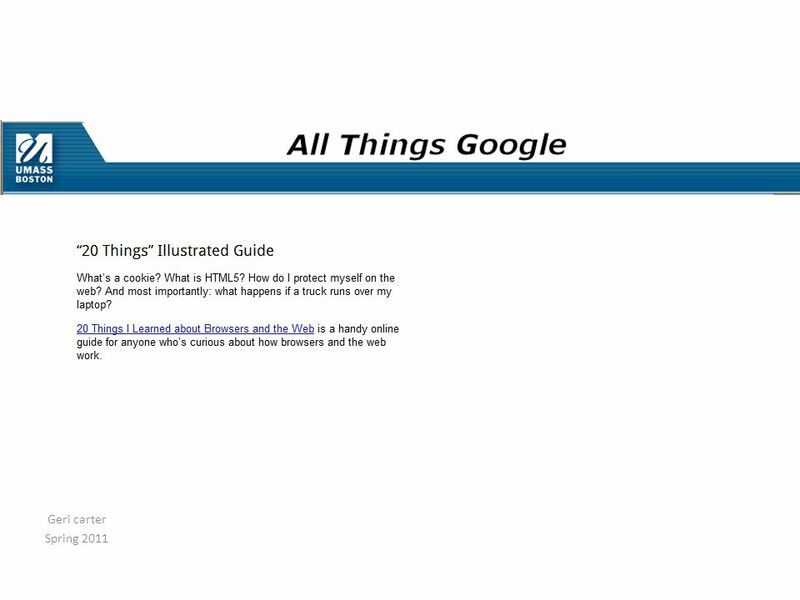 Download ppt "Geri carter Spring 2011 Setup Gmail. 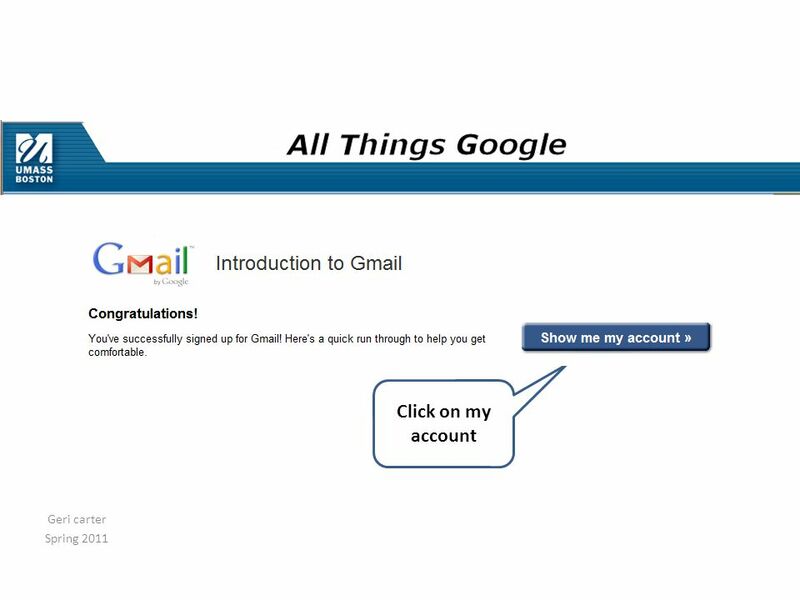 Geri carter Spring 2011 Gmail Gmail uses https:// -- just like banking sites." B: STUDENT DRIVE MOVE INSTRUCTIONS. 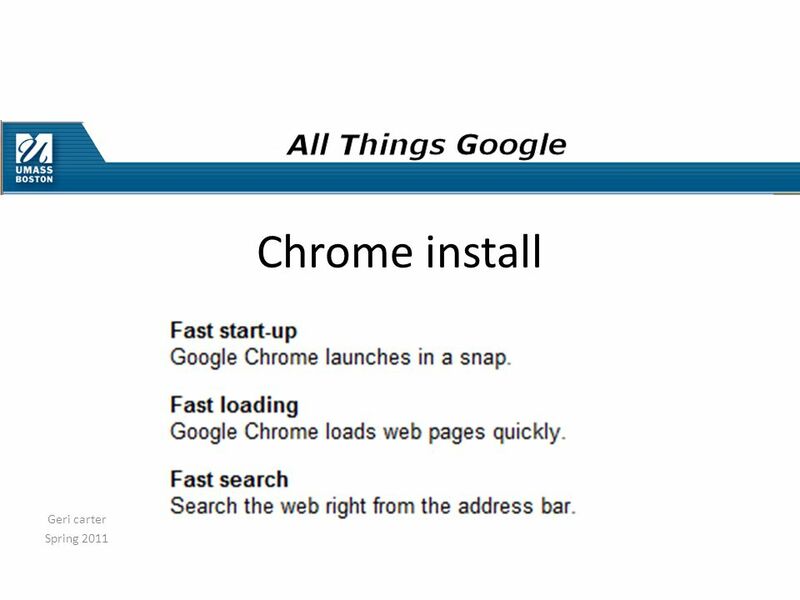 Using Internet Explorer: From your computers desktop, double click on the Internet Explorer icon. (Internet Explorer. Central Middle School Part I Documents and Presentations. No Internet, no problem With a little planning its easily possible to embed ICT into your lessons even when the internet is not available. How to View User Counts on Sharp Copiers with Account Controls Enabled. CASE SCENARIO: GOOGLE DRIVE.  When Google Drive first launched, it served as a place to store your files in the cloud so that they could be accessed. 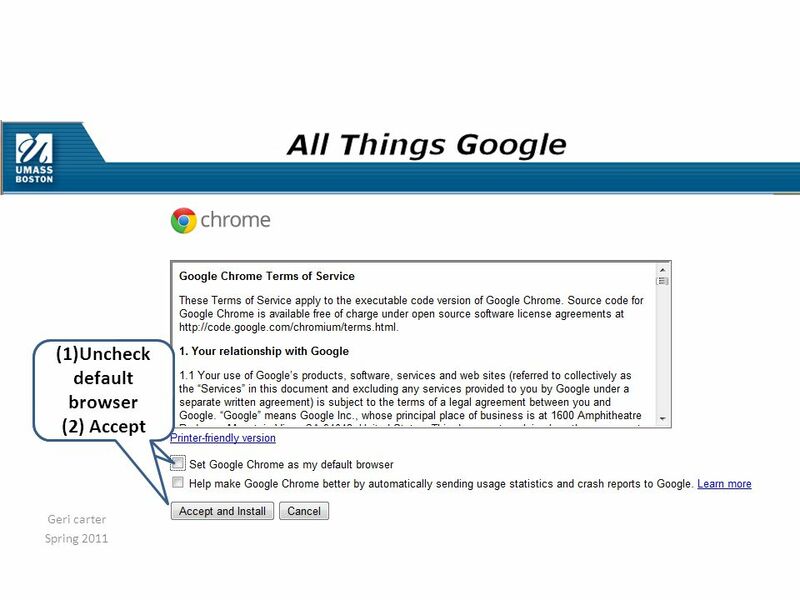 CONNECTING REMOTE PC WITHOUT ANY SOFTWARE USING CHROME WEB BROWSER WITH ITS ADD-ON/EXTENSION FOR REMOTE ACCESS HASSLE FREE ACCESS USING A COMMON GMAIL. 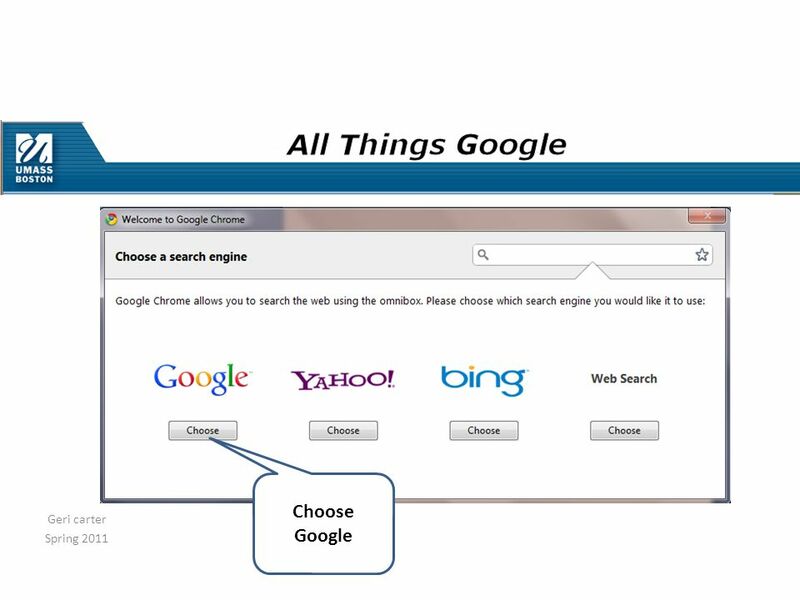 Browser Comparisons Internet Explorer 8 & 9, Chrome 11 and Firefox 4 Security, Privacy, Add-ons & Convenience. Adding Classic Scrollbar to Google Chrome. 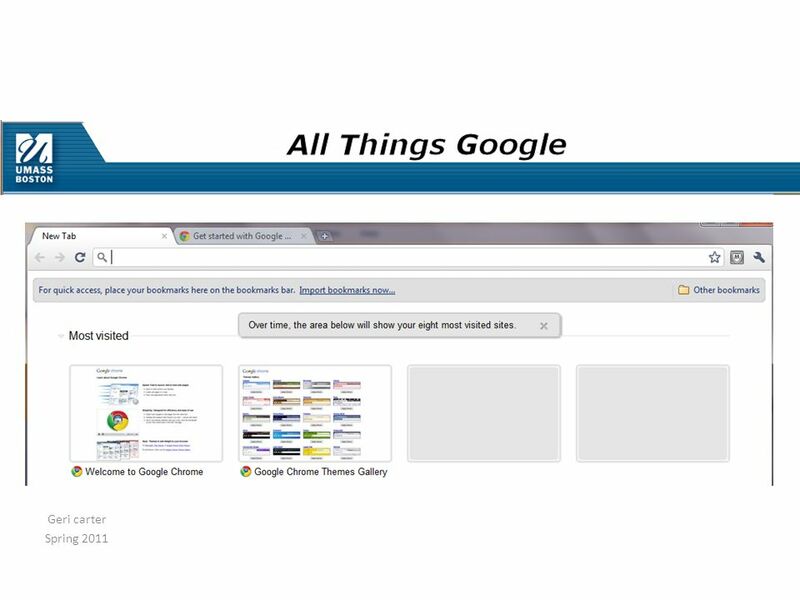 Go To the Following Address: Downloading Google Scrollbar Since the eCHAM was built, Google has changed their. E-portal + Google Chrome = 21 st Century Communication Why Google Chrome? 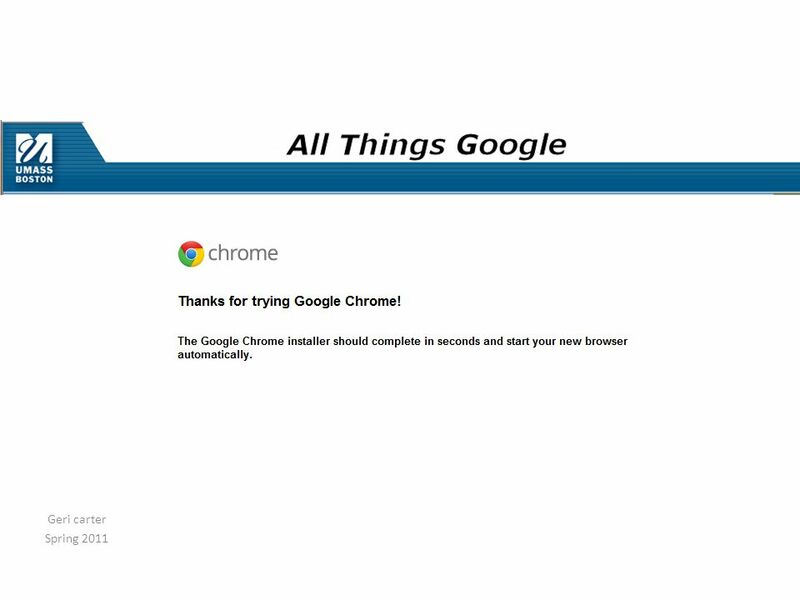 Google chrome can eliminate an endless loop of s and offers the opportunity. A Tutorial by John Oleksa. 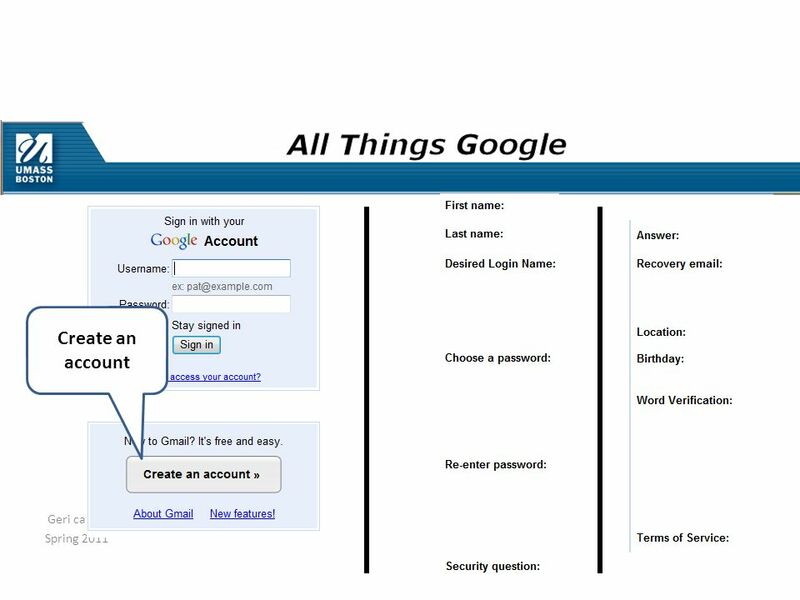 After watching this tutorial, I hope that you will be able to:  Log on to your Google account and find Google Drive  Locate. Geri Carter Spring In the beginning Geri Carter Spring 2011 Co-Founders Larry Page Sergey Brin September 1998 Employees worldwide – 20,000 Team. Geri carter Spring 2011 On to GMail. Geri carter Spring 2011 Features Web based versus download (outlook) http s :// conversational user interface Free. What Is Malwarebytes? Malwarebytes is a free anti- malware program. Anti-malware programs are specifically designed to find and remove malware on your. Enabling Screen Sharing in the WizIQ Virtual Classroom accessed through Browser. GAFE. 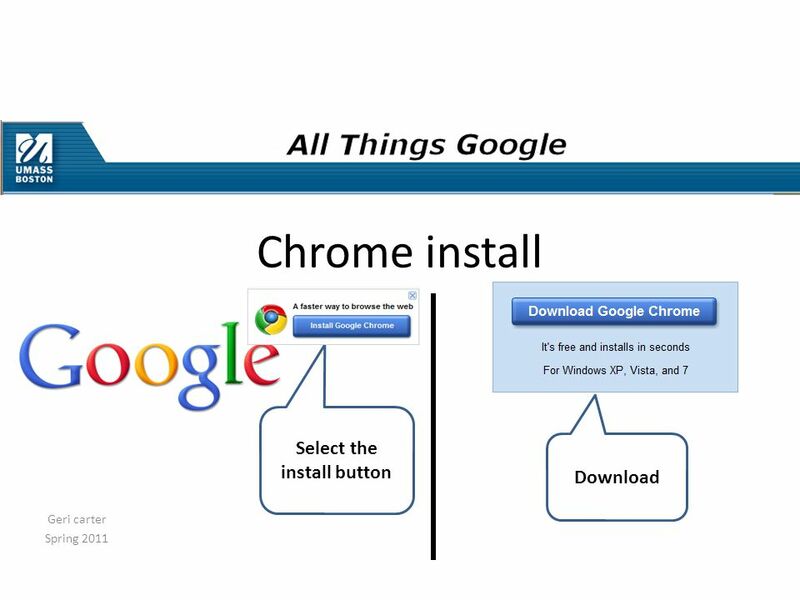  Bookmark the Landing page (login page): https://hcpss.me/ https://hcpss.me/  Once you are comfortable with HCPSS Google, consider using two different.